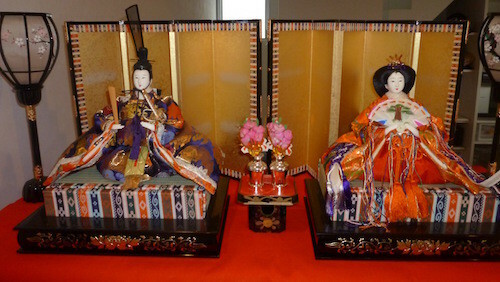 3rd March is hina-matsuri (雛祭り; Doll's Day) in Japan. There is an emoji for hina-matsuri: 🎎 JAPANESE DOLLS. I'm satisfied with the JAPANESE DOLLS emoji which Google ships, but some vendors unfortunately ship uncomfortable emoji for it. Let me explain. Google's emoji grasps the point of dairi-bina very well. The emperor wears a crown and a scepter, and the empress wears a hair ornament and a fan. They are put on colorful tatami. Their faces are white as most of traditional japanese dolls have white skin. They don't have a scepter nor a fan, and their dress are weired. It looks not good, but barely recognizable as dairi-bina. Why the right doll wears a ribbon? The emoji lacks important features of dairi-bina. The designer might not see a real dairi-bina but only Apple's one and the result of Google Images. If you want to make a new emoji font, please look at the real object rather than emoji by other vendors, and know cultures emoji related to. Thanks.